BSNL announced Exclusive Mela Offers for it's Prepaid and Postpaid Mobile Customers of Kerala Telecom Circle for the month of February 2016. During the offer period, customers can avail Full Talk Time, Extra Talk Time, Free Prepaid SIM Cards (Normal / Micro / 3G / 2G ) and Free Activation of Postpaid Mobile Connections via Melas / Exhibitions conducted by BSNL. In addition to the existing New Year Special Full Talk Time / Extra Talk Time offers BSNL Kerala, the highest revenue generating circle of BSNL, announced the following offers those can be given during Melas / Road shows / Exhibitions, which may conducted by BSNL Kerala circle in their territory. Mela offers will be available for ten days from 10th February to 19th February 2016. Free Prepaid BSNL (3G/2G) SIM cards worth Rs 20 [(32 K to 128 K - Normal SIM / Micro SIM / Repluggable SIM (Normal + Micro)] to the customers for new connections provided through Roadshows / Melas / Exhibitions. 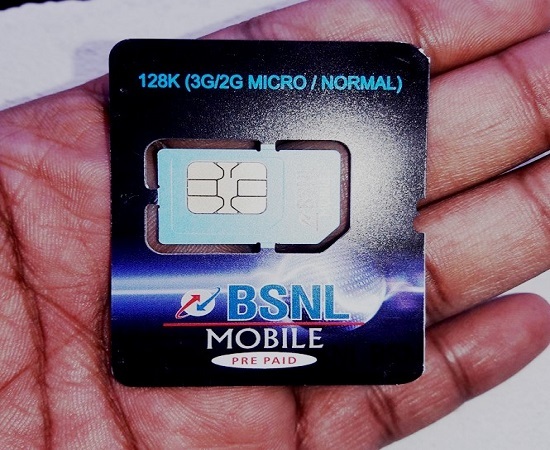 NOTE: New BSNL Customers cannot be given 256K SIM Card / Nano SIM cards at free of cost. All the SIM cards irrespective of capacity supports 3G Services. Hence all BSNL Mobile customers can enjoy 3G Data speed, if they are in 3G coverage area, even they use their old SIM cards of Capacity 16K / 32K / 64K. BSNL customers can activate the new connections with latest Kerala BSNL Mobile Plans ( Prepaid / Postpaid ) having the lowest tariff including data services. These Free SIM / Free Activation offers (Free SIM worth Rs 20 & Waiver of Activation Charges for New Postpaid Mobile) shall be given to new as well as MNP customers of BSNL only during the mela period, through Roadshows / Melas / Exhibitions conducted by BSNL in Kerala Telecom Circle.